The Brooklyn Brothers and Íslenska have launched ‘Buddy Hotline’ for transatlantic airline Icelandair, showcasing the airline’s commitment to adding value to customer journeys. The ‘Buddy Hotline’ offers the opportunity to connect with an Icelandair Buddy to offer personalised travel advice and recommendations. The campaign has been created with a focus on digital, social media and PR and will feature across all key global Icelandair gateways, including North America, Europe and Scandinavia. 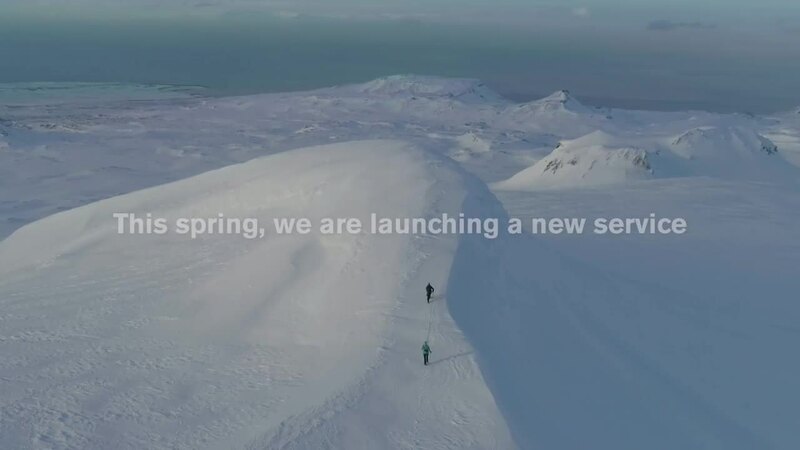 At the heart of the campaign is a short video, directed by Álfheiður Marta, showcasing some of the staff enjoying their hobbies, from glacier hiking, and geothermal pool bathing, to enjoying Icelandic cuisine, whilst also responding to passenger enquiries. The launch of the Buddy Hotline service is in response to research, and to a new consumer appetite for trusted local advice - more than half of Brits (53%) are interested in having direct access to local knowledge. The hotline service connects passengers with Icelandair Buddies for personalised travel recommendations, and aims to support travellers during or in the planning of their trip by providing trusted advice from locals. Travellers can connect directly by phone or message a Buddy, via an online messenger, who will be on hand from today to offer the ultimate ‘insider’ advice to help travellers make the most of their time away. All Buddies are Iceland locals and members of the Icelandair team. We are a fully integrated creative agency, blending storytelling, brand advertising, experiential, digital, PR, content, social with pin-sharp strategy to help brands rise above the noise. We do this by creating ideas that earn attention, creating, making and distributing stories that get heard, all under one roof. Restlessly creative, with an entrepreneurial spirit and a passion for making entertaining, groundbreaking work in whatever channel, The Brooklyn Brothers strives to find new, different and effective ways of doing things for global brands such as Land Rover, Jaguar, NBC, Castrol, Promote Iceland, Lancôme, MINI, Financial Times, WaterWipes and American Express. In 2016, we joined Golin who have PR, digital and content at their core with over 60 years’ experience and over 50 offices around the world.